Ice is an important commodity for a marina. Even at a small marina like ours, the recreational and commercial fishermen use hundreds of bags of ice each season to keep their catch cold during transport and keep food and beverages cold while on the water. break even financially based on revised experience data. Selling ice by the bucket was an easy way to eliminate the bags. Most of our customers informally polled preferred the ice in buckets anyway because it was less work getting the ice into their cooler. We sell reusable plastic buckets. On a few occasions (less than 10 over the year) we did put ice in plastic bags on request from customers. The cost of our bag and zip tie is significant at about $.40. This is because it is the same high density plastic as used to freeze fish. Given out low volume of bagged ice, it does not make sense to keep other bags in stock. 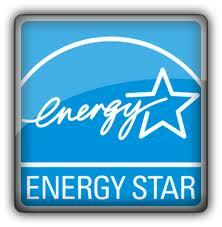 A modern ice machine with the “Energy Star” label would reduce our energy costs. The challenge was providing the capital for this project. Our cost of capital is 18% per year, much higher than many other businesses. Marinas are an inherently risky business so this higher rate of interest is justified. The machine costs $4,500 installed, so the interest cost is $900 per year. This cost is greater than all the other costs combined and explained why environmentally efficient upgrades are not more common. The project allows us to reduce the retail price of ice from $.31 per pound to $.29 per pound as described below. This presumes that we are able to increase total ice sold to more than 418 buckets. If not, the price will need to be higher in the future but it seems likely that we will still reduce the price over last year. The total cost of the project is $2,007 per year over an estimated five-year life of equipment for a total cost of $10,037 over a five year period. 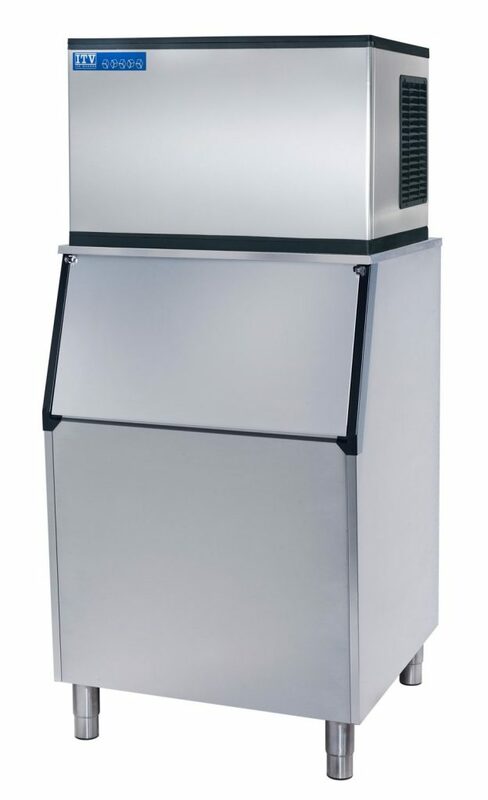 In the first year of this project we sold 295 buckets of ice (retail, not including commercial watermen) for a total of $1,595 of ice (including the commercial sales) for an overall loss of $412. In the second year of the project we raised the price of retail ice to $5 per bucket and $3 per bucket for commercial watermen. We reasonably expect to break even in the second year. For purposes of this article, we simplified the cost calculation. This calculation assumes that the equipment will run 10 months per year and that the filter is replaced each year. Although the equipment will probably last longer than five years, there is increased likelihood of additional repair or maintenance costs so this aspect is ignored in the calculation. We did not assign a cost of water from our own pump water in this analysis. Even though the cost of maintaining a pump and conducting periodic inspections of water quality is significant at the marina, there is no perceived marginal cost that can specifically be assigned to the ice. Also, the analysis in this article assumes simple interest rather than compound interest and presumes that there is no residual value of equipment. We also presume that there are no overhead costs of the business (things like taxes, licenses, building and labor) that are assigned to the cost of ice. The dollar amounts are rounded for easier discussion. Our net cost of producing ice at the break-even quantity is estimated at $.16 per pound. That works out to an internal cost of $2.88 for a 18 pound bucket of ice. That cost calculation is for direct cost only and ignores the overhead costs associated with running the business. We presumed a retail price of $5.00 per bucket of ice ($.28 per pound) and a $3.00 per bucket for commercial watermen who typically purchase higher volumes of ice. The least expensive off-shore retail price we found in the region for an 8 pound bag of ice is $1.79 which works out to $.22 per pound. Marina prices are higher, typically $2.50 ($.31 per pound) retail with a cost from the wholesaler of $1.20 ($.15 per pound) which does not include to cost to hold or resell the ice. The price per pound goes down when ice is purchased in large quantities and can be found off-shore for $.16 to $.18 per pound in 50 pound bags. But for our purposes, it makes sense to compare the retail prices for ice at locations near to us that are typically $.31 per pound. We think that we notice a psychological advantage of retail pricing ice at $5. Customers seem to prefer not dealing in $1 bills. We also raised other fees at the marina to $5 increments for some of the same reasons. The overall cost effectiveness of the project will be determined by the total amount of ice sold over the course of the season. The break-even volume of ice sales is 418 buckets. The bottom line is that this environmental upgrade project requires that we increase the amount of ice sold in order to justify the cost of upgrading. But we welcome the challenge because of the overall benefits that are possible. Please buy lots of ice at Money Island Marina this year!